It is difficult to imagine the Rancocas Creek area a vast wilderness (click for map) with no Mount Holly, Hainesport, Rancocas or Centerton, when Riverside, or Goat Town was only sandhills and swamps, and with only Indian Wigwams to mark the sites of unnamed towns. This demands a nimble play of the imagination. 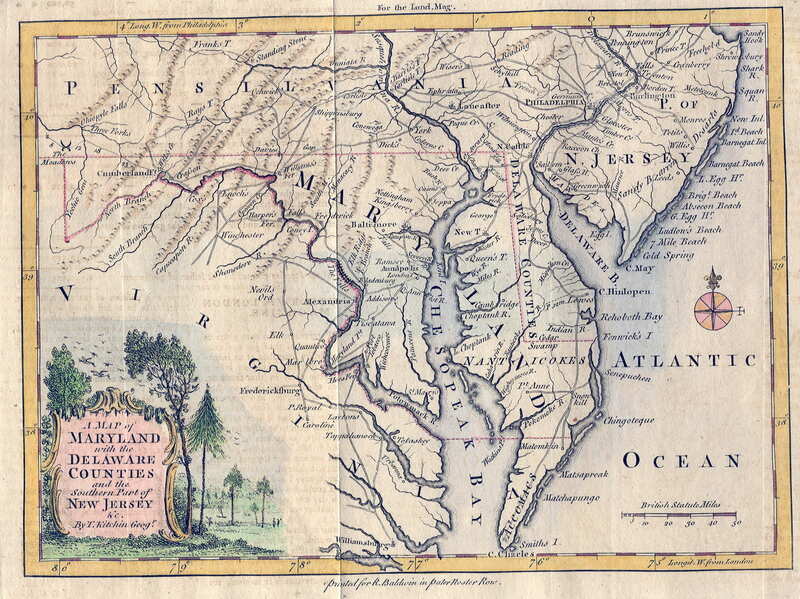 Through the eyes of the first Europeans, the Eastern Shore of the Delaware from the Falls to the Capes, was a dense primeval forest. Today, it is difficult for us to picture in our minds this great expanse of timber that had never known an axe, thick, black soil, made of rotted leaves that had fallen for thousands of years, covered with undergrowth and thick with brambles. From this terrain sprang mighty oaks 60 or 80 feet up to the first limb. Among these great trees the lesser elbowed each other for living space and everywhere spreading over shrubs and low growing trees. Climbing in the branches of the highest, grape vines flung their tangled network. At this time it has been led to believe there was very little foot travel at night, as a person never knew just when they might meet up with a few hungry wolves, a bear or wildcat, none of which were friendly. But the Rancocas began settlement. Through a slash in that primival forest wall, the Rancocas creek entered, and peopled here and there by a small Indian tribes, as it wends its torturous way into the waste lands of the Pines. Check out if you can the FB pages for Mt. Holly. From those comes the writings of April Hughes…. Very Cool. Thanks. April has allowed these writing to be placed on the paddlesport web site. Contact de webmaster if you have questions. Check out the report on an underwater archological site up on the Crosswicks Creek. These type of barges would have been the type that floated on the Rancocas Creek tidewaters. The Golden Age of Steamboats in Burlington County spanned ten decades, from 1820 to 1920. During that time, dozens of steamboats navigated the Delaware River from Philadelphia to Bordentown, with stops at numerous locations in Burlington County along the Rancocas. One of the earliest, if not the first, steamboat of which we have any knowledge on the Rancocas was the Norristown, Captain John Gardner, which ran between Philadelphia and Lumberton in 1823. Most of the freight for the Rancocas stores came by steam boats to Centerton. When the Stevens store family moved from Chester to Rancocas, they came by boat to Centerton wharf. As late as 1845 (?) steam boats ran from Philadelphia to Lumberton and Mount Holly stopping on signal, at any wharf in between to pick up freight and passengers. Link to period era ferry’s on the Delaware River. The word freight covers a wide variety of items. The sheep, cattle, swine, horses and poultry were usually stored in the bow of the boat away from the noise of the engine. The farm produce and passengers were stored amidships and stern. The steamer, Annie VanSciver, took many excursions from Hainesport, Mount Holly and Rancocas to Lincoln Park and Washington Park on the Delaware Bay. In 1845, the steam boats, Barclay and Independence were making regular trips between Lumberton, Mt Holly, and Philadelphia. In 1847, Barclay Haines, a sixth generation Haines, bought 311 acres from John Creek. Barclay Haines was a prominent landowner from Lumberton who established and maintained a port in 1848 just below his new home on the south branch of the Rancocas. From his port, sidewheeler steamboats carried freight and passengers to and from Philadelphia. These passengers could be found traveling on the “Barclay”, a single stack side-wheeler which made stops in Centerton, Borton’s Landing, and Camden before crossing the Delaware River to Philadelphia. In 1848, the name of the little town became Haines’ Port, and in 1850 was condensed to Hainesport. The steamer, Rancocas followed the Barclay and Independence. The steamboats, Clara and Fleetwing ran up to Mount Holly until the 1890’s. The steam boat has vanished from the Rancocas almost as completely as the Indian canoe. The very first road from Mount Holly to Dunk’s Ferry, or what is now known as Beverly, is almost lost from memory and tradition, let us, in fancy, travel along this ancient highway and visit some of the ancient homes. in 1700, there was only one house in what is now the town of Rancocas and the road through town was something of the future. The original road was south of the present Woodlane Rd, through Bunker Hill woods and right through the middle of the new school by the turnpike. It went south westward and crossed over the Daniel Wills mill dam. Then northwest by the Indian spring up the hill by the Franklin Park farm. Then westward, crossing the dam at Olive’s mill. There the road forked, one fork going to Dunk’s Ferry ( Beverly) and the other fork going to Wallace’s Landing, now Delanco. Suppose we travel westward on this road, after leaving Bunker Hill woods and we come to the site of John Woolman’s home right here in Mt Holly . Then on to the site of Dr. Daniel Wills home, which was on Hessert’s lane close to the Centerton Road. Dr. Wills was the first doctor to settle in Burlington County and gave the name, Westampton to the township. Northampton Township in the early days was one of the largest townships in the county. It included the present townships of Westampton, Eastampton, Southampton and part of Lumberton, as well as the present Township of Northampton in which Mount Holly is now located. NOTE: ALL PHOTOS ARE OF PERIOD VESSELS. THESE REPRESENT SOME OF THE TYPE OF VESSELS FOUND ON MT. HOLLY’S WATERS. (for further references: see Paul Schoop’s and Dennis Rizzo’s history’s of Burlington County and Mt. Holly respectfully, check out M. Alford’s “Traditional Workboats of NC ad Kevin Olsen’s Hx of NJ’s Maritime, NJ Hx Society ).